The first step towards a beautiful, healthy smile is to schedule an appointment. Please contact us by phone, email, or complete an online appointment request. If you are a new patient to our office, please visit our Patient Forms page to download our new patient forms that will need to be filled out when you arrive at our office. Printing them, filling them out and bringing them with you will allow us to attend to your dental needs more quickly than completing them on your arrival. Thank you and please contact our office if you have any questions at all. For your convenience, we accept cash, personal checks, money orders, and most major credit cards. Payment is expected at the time services are performed. Feel free to contact us if your treatment plan requires more comprehensive dental work and you want to discuss financial arrangements. Whether you have dental insurance or not, many services are not covered. CareCredit is a credit card exclusive for healthcare services. And, it’s better because you get No Interest or low interest financing every time you use it. You can use your card over and over for follow-up appointments or different procedures. This means you don’t have to put your health and beauty on hold until you save up enough money. We give you the power to decided when it's the right time for you! 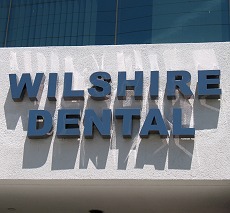 All dental insurances welcome, please contact us at one of our office locations for Insurance details.